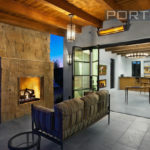 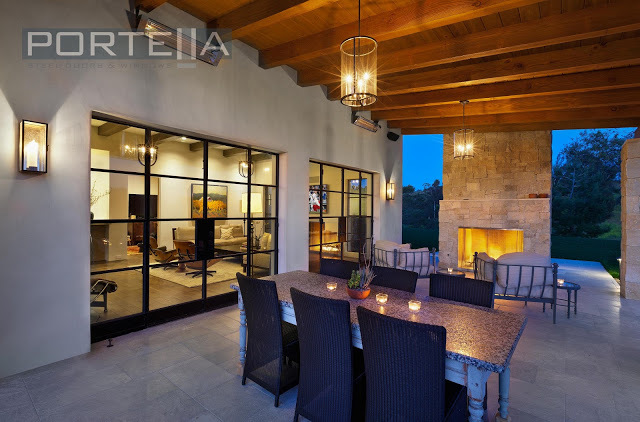 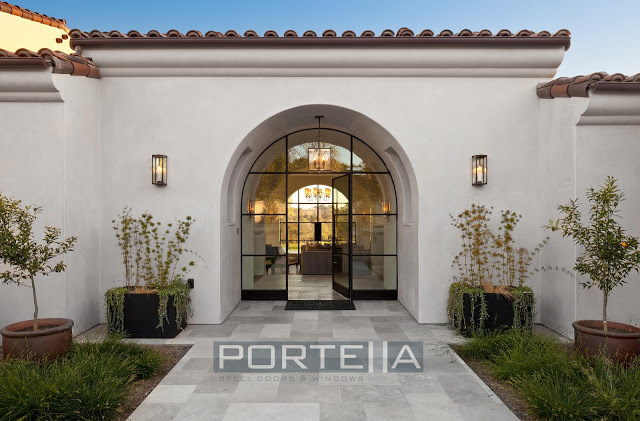 Portella provided all the exterior steel doors and windows on the beautiful Santa Barbara Ranch style home located in Southern California. 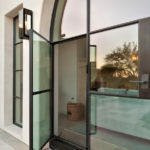 Three panel steel bi-fold unit. 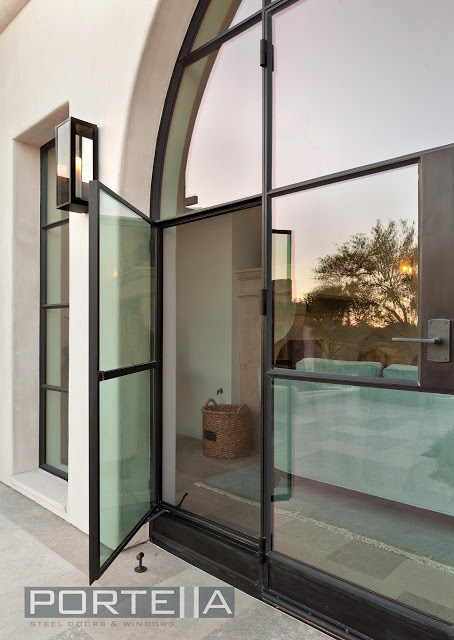 Steel door with fixed sidelites and transom – arched. 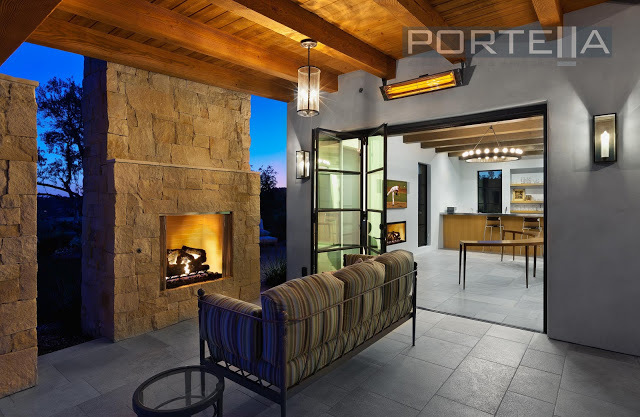 Double door with push out casement steel windows and fixed transoms were used across the back of the home. 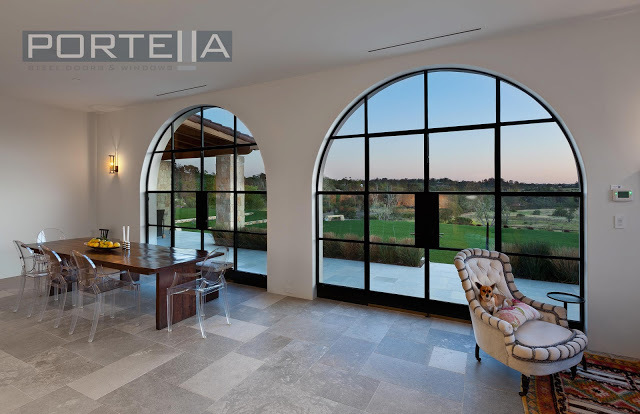 Roto operated out-swing casement windows were incorporated into the large double door sidelite units. 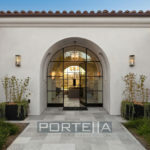 The project also included Portella fixed steel screen option.